The Computer Science Department is committed to ensuring a student-centered learning environment that promotes close student-faculty relationships and enhances intellectual development. 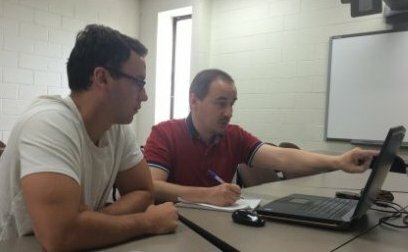 The Computer Science Department also continues to grow its curricular offerings in many cutting-edge computing disciplines including mobile development, cyber security, big data, cloud computing, parallel processing, bioinformatics, virtual reality, computer game design, robotics, artificial intelligence, database systems, and others. 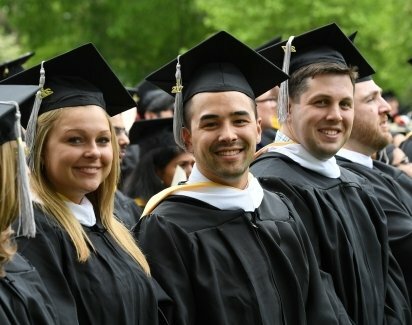 We also offer several Certificates of Undergraduate Studies programs to enable students from outside our majors to achieve official Rowan credentials in several different computer science domains. The Computer Science Department also supports a number of very important student-centric initiatives including student mentoring, learning assistants, summer internships, and long-term co-op programs. We continue to expand our curricular and research collaboration efforts with industrial partners. Our department is growing and expanding. A vast majority of our students have job prospects lined up even before graduation. Many of our students end up working for industry leaders and top government organization such as Amazon, Symantec, Lockheed Martin, ASRC Federal Mission Solution, Federal Aviation Administration, US Navy, FBI, Comcast, SAP, IDT, Raytheon, and many others. 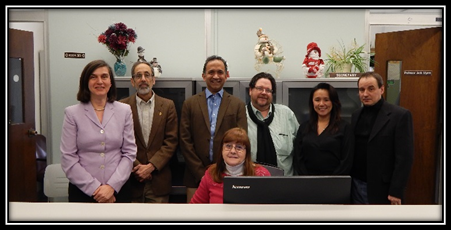 Rowan's Computer Science degree has been accredited by the Computing Accreditation Committee of ABET, the recognized accreditor of college and university programs in applied science, computing, and engineering. ABET accreditation demonstrates a program's commitment to providing its students a quality education. Learn about our honor society chapter Upsilon Pi Epsilon and our computer society chapters ACM and ACMw and our Cybersecurity Club and other information about our students. Our faculty are committed to contributing to the expansion of knowledge in the Computer Science discipline through teaching, research and service.